Discover remarkable landscapes, storied history and charming cultures as you traverse Eastern European countries such as Romania and Serbia on this invigorating adventure. Fly from the UK to Budapest and be transferred to your river ship. After dinner on board, set off on a twilight cruise through the city and be enchanted by the lights of the remarkable Hungarian capital. Admire Bratislava on a guided tour. SIGNATURE EXPERIENCE: Later, attend a traditional folklore show in the Old Town. Perhaps learn a few Slovak dance moves, before sampling some delicious local specialities. Take in a walking tour of Vienna today. 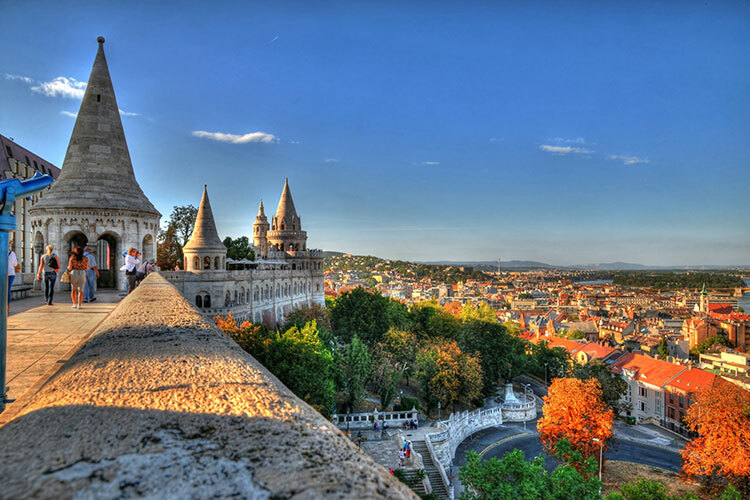 Today, return to Budapest and discover one of the Danube’s most beautiful cities as you join a local guide for an exciting tour, including a visit to the spectacular Hungarian Parliament Building on the river front. Arrive in Mohács and enjoy a Freedom of Choice Sightseeing activity. FREEDOM OF CHOICE: Visit the Buso Courtyard, which offers an insight into the Busojaras of Mohács, and the craftwork associated with this event. Or perhaps take an excursion to Pécs and visit the Gyugyi Museum, which houses Laszlo Gyugyi’s private collection, including ceramics from the Golden Age of Zsolnay Factory. On a tour of Serbia’s capital, the choice of today’s activity is yours. Later, enjoy some free time in the city centre to stroll along Prince Michael Street, the city’s main shopping district. FREEDOM OF CHOICE: See the Belgrade Fortress and the Serbian Orthodox Temple of St Sava. Alternatively, take a bike ride or visit a brandy distillery for a tasting. Cruise through one of Europe’s most awe-inspiring natural wonders, the Iron Gates. Here the Danube narrows as it winds through a series of magnificent gorges between Serbia and Romania. After a final delicious breakfast on board, it is time to bid farewell to your new-found friends as you disembark your luxurious river ship for the last time. Upon disembarkation, you will be transferred to Bucharest airport for your return flight to the UK. Terms and conditions apply, all offers are subject to availability and operator booking conditions. All savings are included in the fares shown and were correct at time of print but are subject to change. Fares are per person based on 2 people sharing a stateroom. *Savings of up to £4,836 per couple are applicable to new 2019 European River Cruises booked by 30th April 2019 or until sold out. ††Home pick up service is valid when booking within a radius of 75 driven miles from the UK departure airport. No cash alternative will be given. For journeys over 75 miles there will be an additional charge per car per mile. This service is only available for UK mainland. We charge a one-off small £20 booking fee. That’s it - nothing more and no add ons when you pay the balance. E&OE. ABTA P6710.